Here’s a sneak peek at the latest additions to our Monster™ TIG Nozzle lineup: the Monster 12, 14, 16 & 24! We are adding these gas cups to Arc-Zone’s world-leading selection of TIG welding cups. We offer the Ceramic (pink), High-temp Ceramic (grey), Lava (light brown), Pyrex (glass), Metal (aluminum and copper), nozzles AND Flooding & Trail-Shields… in other words, we’ve got you covered! These new Monster™ TIG Nozzles address a wide range of welding challenges and are dropping soon in our secure webstore. Pre-Order your Monster by direct messaging us: customercare@arc-zone.com or give us a call: 800-944-2243 (toll free) or 760-931-1500 (worldwide). You’ll be the first to know when these Big Monster TIG Nozzle are ready to roll out. Already using the original Monster™ TIG nozzle? or the Monster™ 15? Look for an upgrade offer soon and get ready to ditch the Scotchbrite diffusers! 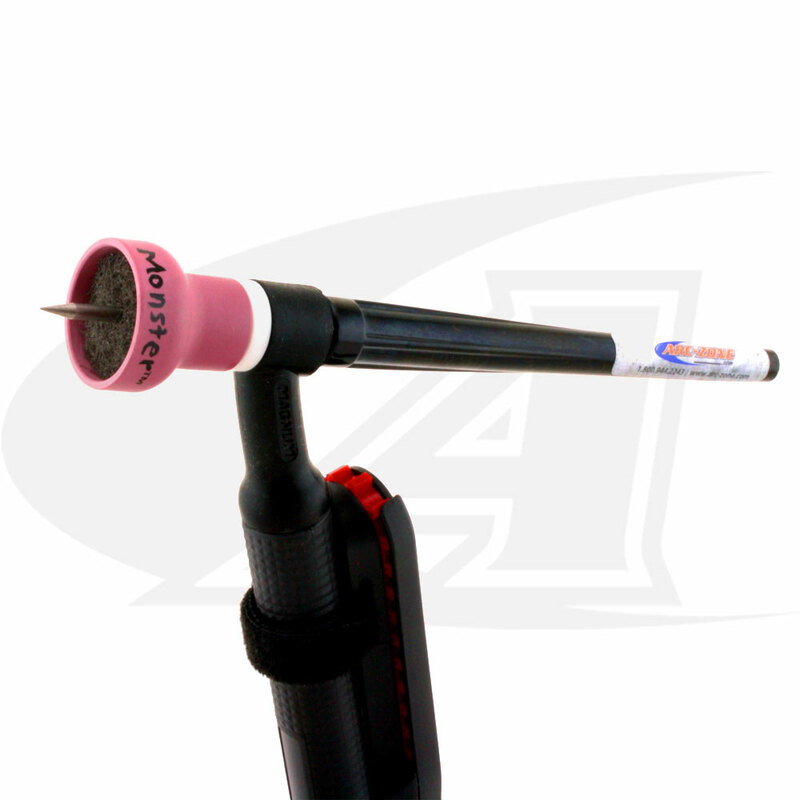 We make each nozzle to our exacting specifications and with the highest-quality grade “A” ceramic. Our technicians precision machine the screen stacks the skillfully assemble them. And we don’t use dissimilar metals! With the right setup, you can get the best quality weld every time. All at a Fair Price!! !